A prominent scientific journal, Critical Reviews in Toxicology, issued a rare “Expression of Concern” after finding that Monsanto failed to disclose its role in several studies. Monsanto is the maker of Roundup and Ranger Pro, the leading weed killing products worldwide. Many believe that the active ingredient in both products, glyphosate, causes deadly cancers in humans. Scientific journals are supposed to be independent or at least transparent. By transparent, we mean that researchers and scientists posting their findings must disclose all outside relationships that might have a bearing on their independence. In 2016, the Journal posted five articles in a special edition called “An Independent Review of the Carcinogenic Potential of Glyphosate.” All five articles were critical of the 2015 finding by the World Health Organization which linked glyphosate to cancer in humans. The Journal now says that articles failed to disclose Monsanto’s involvement in the research. During the trial it was revealed that Monsanto helped “edit” the articles and paid some of the authors a “consulting fee.” Emails produced during discovery also revealed that Monsanto offered to ghostwrite or perform research for the authors. Where do we find the truth? A California jury after hearing all the evidence concluded that Monsanto isn’t telling the truth about its popular weed killer. Mounting scientific evidence also suggests that glyphosate is a carcinogen. What most troubles us is the constant suggestions of fraud and coverup. Two labs that did work for Monsanto convicted of fraud and coverups. Five authors whose “independence” has now been questioned. What comes next? The number of lawsuits against Monsanto in the United States is now estimated to be over 9500. We believe that Monsanto causes myeloma, leukemia and non-Hodgkin’s lymphoma. It may also cause brain disorders. Only Monsanto knows the answers and we think they aren’t showing all of their cards. How many more people must die before we learn the truth? If you or a loved one used Monsanto’s Roundup or Ranger Pro and developed one of the above cancers, call us. You may have a claim for your suffering, pain and medical expenses. Your family may also have a claim. We are especially interested in farmers, groundskeeper and landscapers, although if you are a homeowner and regularly used these products, you may also have a claim. or by phone at 202-800-9791. We take cases anywhere in the United States. Are you a Monsanto employee (past or present)? We are highly concerned about the toxic effects of glyphosate and have no illusions that Monsanto (or its corporate parent Bayer AG) will ever turn over all of the safety and research information in their files. This includes information about the long term effects of glyphosate when it is ingested by people eating crops treated with Roundup. Our best source of information is you. If you have information, talk to us. Off the record if you wish. Even if you are not willing to speak with us, point us in the right direction or anonymously send us information. Obviously, the more you can help us, the more we can help others. There are kids that have lost their parents. Families watching a loved one suffer… The only people with all the answers are at Monsanto. Sleep better tonight knowing that you are helping thousands of other people sleep better and are doing your part to prevent further cancer nightmares. Two weeks ago, we learned that Roundup may kill bees. Last week we learned that the company had deep involvement in several “independent” studies that concluded glyphosate is safe. 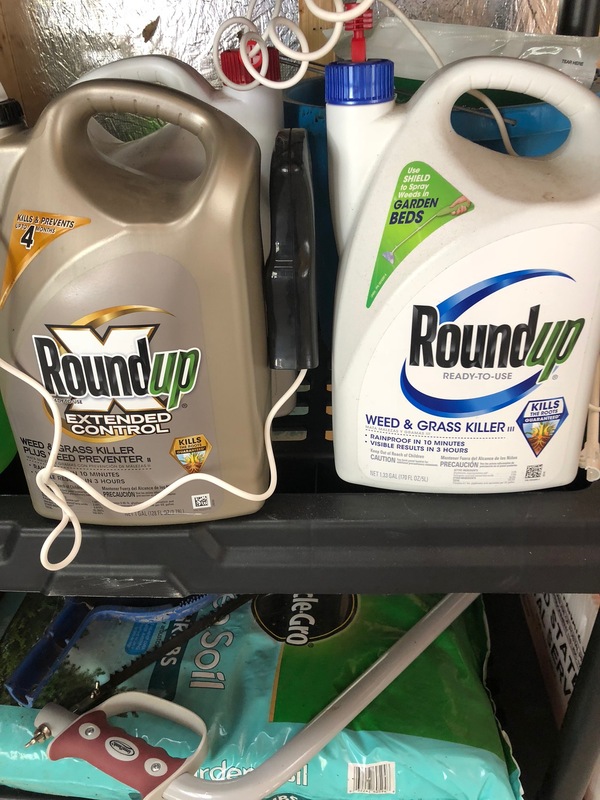 And since DeWayne Johnson’s record victory against Monsanto several weeks ago, another 1500 people have come forward and said they are suffering because of glyphosate exposure. or call me directly at 414-704-6731. Please.